The College’s mission is to offer education and training programs and additional services to Indigenous people for the benefit of the individual, the community and the nation. The programs and services are comprehensive, accessible, flexible and community-centred in order to enhance the development of Indigenous community members. The College has a College Elders Council who revive and promote our Indigenous culture through story telling and through participation in decision making, future planning and direction of the College through staff and management meetings. Our College Elders are involved in activities such as Elders Workshops and guest speaking to students of accredited subjects ie: developing an Indigenous perspective, understanding Indigenous issues, bush foods, bush medicines, health and the ageing process. The Elders, through their involvement, have shown approval for the College itself. Studying and learning is encouraged by the Elders which gives the College credibility. Booroongen Djugun develops and consolidates its role as a national training centre by continuing to write its own courses, develop national models and adapt models developed elsewhere for use by Indigenous people. The Board of Directors through regular consultation with their community, recognise the need to develop courses of relevance to the Indigenous community. The need for this is clearly demonstrated in the College’s Business Plan. The College provides an environment that reflects the culture of the learners. Training is based on Indigenous traditions and customs. The cultural role ensures values, traditions, and customs are an integral part of the training experience. Aboriginal English is recognised and acknowledged as the primary language for some of our people. Booroongen Djugun College’s training programs are designed to enable Indigenous adults to function within the employment sphere, in their own communities, and in the wider community. The College operates a centre-based service (Kempsey and Newcastle campuses), outreach programs (anywhere in New South Wales), and distance education (National project). The major concern of the College is to ensure that Indigenous education and training programs are coming via an Indigenous perspective: how they are involved, what processes are in place, and with what effectiveness. College management consults the College Elders Council to identify the needs and expectations of Aboriginal and Torres Strait Islander people. The College has improved access to courses with Indigenous content. The College ensures maintenance of a non-racist environment. Management and staff are members of external committees to keep abreast of the latest information and to advance the services of the College. The College delivers a range of courses from Certificate I to Diploma. The College’s main courses have been developed using national training packages. The courses have been especially developed to enable the curriculum to be used as in-class, self-paced, and as distance education. Training delivered by the College is government accredited and nationally recognised. The College has implemented various forms of Information Technology and student support mechanisms to support programs offered anywhere in the country. Information Technology is in use at the College and includes a Web Page, courses on CD-Roms, Free call 1800-telephone number, facsimile, and email services. Innovative thinking at all levels is encouraged and valued. Innovative approaches to the provision of training at the College has developed over a period of time: • A shared vision by management, staff and students • An emphasis on the Indigenous methodology of learning, that is audio, visual, demonstration, observation, hands-on, role play, etc • Positive self-identity through cultural activities and achievement of industry skills. • Early achievement of industry skills as positive reinforcement students ‘can do it’. • Cultural content relevant to the learner, shared values and beliefs • Ownership of the College, staff and students empowered to make decisions. • Facilitated learning (dual roles of both trainer and student) • Input from Indigenous Elders and community members, a community College in every sense • Study methods learnt are transferable to other systems eg VET-in-Schools back into education system. • College positively reinforces a culture of learning with staff and students. Students in Booroongen Djugun College are potential labour market participants. Knowledge is taught in harmony with Indigenous peoples’ cultural and social needs. Training at our College is culturally appropriate, based on Indigenous traditions and customs, incorporating the spiritual beliefs and practices of Indigenous people, and seeking integration between traditional and mainstream approaches. The College encourages a broadened base of learning that encompasses not only the educational objectives, but objectives based on the social and political issues of the local areas. The College sees community-based Indigenous education and training as part of the overall community structure. Many factors will have, and continue to have, an impact on whether or not a program is successful. Input by students, the community, Indigenous organisations, and other interest groups is encouraged, welcomed, and acknowledged. The College’s aim is to develop and consolidate its role as a national training centre. The College will pursue this aim by continuing to write its own courses; by developing national models; by using, testing, and adapting models developed elsewhere and rewriting them for use by our Indigenous people. The College has developed linkages and supportive arrangements with a wide range of Indigenous and non-Indigenous bodies including government agencies, health services, training providers, and professional associations and community organisations. The College maintains an ongoing and extensive consultation network, especially with many local Indigenous communities and Indigenous organisations. 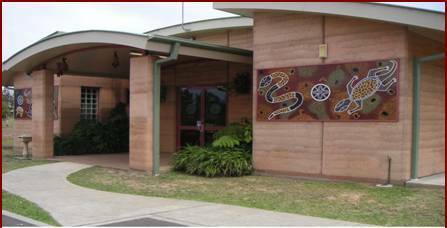 Booroongen Djugun College has contractual obligations with staff regarding their commitment to continuous learning and personal development. The College ensures Indigenous staff are adequately supported in completing accredited industry training and the Certificate IV in Training and Assessment. When qualified, staff are able to, at times, carry out the role of a trainer. This action ensures that College staff have a better understanding of the roles and responsibilities of trainers, and the needs and expectations of our students.